According to a media release issued today by Astellas Pharma and Medivation, the companies have just initiated a new, Phase III, pivotal trial of enzalutamide in men with advanced prostate cancer. The so-called ARCHES trial (AR Inhibition with ChemoHormonal Therapy in Men with MEtastatic Castrate Sensitive Prostate Cancer) trial has been initiated to evaluate the efficacy and safety of enzalutamide in combination with standard androgen deprivation therapy (ADT) versus a placebo + ADT in men with metastatic, hormone-sensitive prostate cancer. The first patient has already been randomized into the trial. This global, Phase III, randomized, double-blind, placebo-controlled study will enroll approximately 1,100 patients with metastatic, hormone-sensitive prostate cancer at about 250 centers around the world. The primary endpoint of the trial is radiographic progression-free survival (rPFS), defined as the time from randomization to the first objective evidence of radiographic disease progression as assessed by central review or death, whichever occurs first. Secondary outcomes will include overall all-cause survival. The trial will evaluate enzalutamide at the current standard dose of 160 mg orally once daily versus placebo, administered along with ADT. More information about this trial is available on the ClinicalTrials.gov web site. 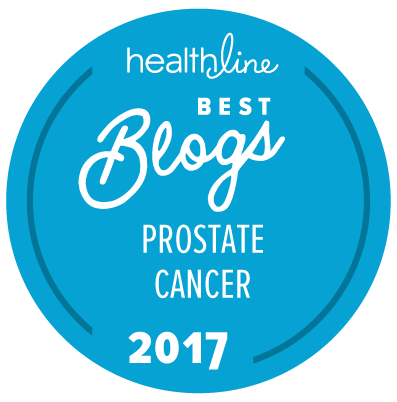 The one concern that The “New” Prostate Cancer InfoLink would have about this study is that (at least in our opinion), for men newly diagnosed with a significant presence of metastatic disease, this trial is not comparing the investigational treatment regimen to the current standard of care, which would quite certainly be ADT + docetaxel-based chemotherapy (based on data from the CHAARTED and the STAMPEDE trials). The trial may therefore be more appropriate for men with relatively low levels of hormone sensitive metastasis at the time of enrollment. It is good news that enzalutamide (Xtandi) use in patients with less advanced disease (though metastatic) is being explored. However, in addition to the serious concern raised by Sitemaster for these men in the trial who already have metastatic disease, there is another concern. It is not surprising but disappointing that the placebo arm is such a weak form of ADT: controlling testicular production of testosterone only, either by orchiectomy or an LHRH-agonist/antagonist. My enthusiasm for this trial would have been increased if the placebo arm had at a minimum featured combined blockade, using also bicalutamide at a dose of at least 150 mg (with an option to increase the dose based on the patient’s response). It would also have been desirable to have seen use of a 5-alpha-reductase inhibitor, with dutasteride/Avodart the first choice but with protocol to switch to finasteride/Proscar if DHT were did not drop to 5 or lower. In association with the more robust form of ADT I would like to have seen, there should have been monitoring of at least testosterone and DHT in addition to PSA, with provision for adjustment of treatment if testosterone was not below 20 ng/mL and DHT at or below 5. Adjustment of treatment would include tactics such as shortening the dosing interval or fixing delivery issues if an LHRH agonist or antagonist were involved, or switching to finasteride if the DHT level was too high. Without these additional tactics (including initial chemotherapy as noted by Sitemaster), patients in the placebo arm are in what I feel is unacceptable and unnecessary jeopardy. A collateral issue is that the wonderful drug enzalutamide is being tested against a weak straw man, and that means the credibility of the results will suffer. In conclusion, I feel the sponsor has paid insufficient attention to patient welfare to the point that an ethical issue is raised. Based on the foregoing concerns, my view is that those of us in the educator/advocate community should discourage patients from enrolling in this trial. While you are entitled to your opinion, the form of “placebo” arm that you are proposing is simply not standard therapy (for better or for worse). While it is certainly reasonable that the men on the placebo + LHRH agonist arm should be monitored for failure of their LHRH to drop the serum T level to 20 ng/ml or less, it is not standard therapy to use an a drug like bicalutamide at a dose of 150 mg in addition to an LHRH agonist; it is not standard therapy to add a 5-alpha-reductasse inhibitor; etc. This trial has been designed to compare the addition of enzalutammide to what is seen by most clinicians to be standard therapy for initial signs of metastatic disease. You want to compare the investigational arm to an unproven form of treatment. That would be thoroughly unethical! While I have some problems with this trial for the reasons I mentioned previously, I categorically disagree with you that people like you and I should discourage men from enrolling in this trial … with one exception. I would encourage clinicians to ensure their patients are aware that an LHRH agonist + docetaxel (as used in the CHAARTED and the STAMPEDE trials) may also be a highly appropriate form of therapy. Thanks for your thoughtful and insightful reply. I now see how “standard of care” therapy can hobble the clinical trial process by placing an ethical constraint on the drug developer. While I now accept the reasonableness of the approach taken by Medivation, I believe the doctors who have seen first-hand great success with combined and triple therapy, with appropriate support with monitoring and other management (such as side effect mitigation), will not be managing patients in this trial as they would surely be convinced that men in the control group were being consigned to therapy they knew to be quite inferior to existing therapy that produced reliable and impressive results in their own practices. I concur that, most unfortunately, triple therapy has not been well documented in the literature. If asked about participation in this trial, I will express the concerns that I have about the placebo group and the concern many of us likely have about the absence of early chemotherapy in the ADT arm of this trial, which you expressed above. As I read the eligibility requirements, a patient who wants to get Taxotere + ADT could do so, and then join this study immediately on completion of Taxotere treatment. There are a number of time limits that would have to be observed — no more than 6 months ADT concurrent with Taxotere, and must be randomized within 2 months of final Taxotere treatment, etc.